Webinars are a very useful marketing tool for many businesses – are they being used enough? Firstly…let’s clarify what a webinar is. A webinar is like a seminar, except you don’t have to show up anywhere…well, except at your wi-fi enabled computer…in your dressing gown, if you wish. 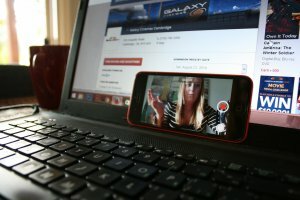 A webinar is a live and interactive discussion and can be either video or simply audio. There, you log in and join in a discussion you are interested in. Perhaps it’s some new legislation that has come into force in your sector, maybe it’s a new product you want to learn more about. As an attendee, joining a webinar allows you to learn something new, demonstrate your own knowledge and listen and learn from others in your field. As a business, you can create your own webinar inviting all your customers and prospects. Creating this platform helps generate sales leads, further strengthens your brand and builds customer relationships, with no one having to set foot outside the office. So what gives? Why aren’t companies with something to say doing it through the medium of webinars more readily? Well, webinars don’t necessarily work for every company but, they are a very handy tool which, if used correctly and as a part of an overall strategic plan, can be instrumental in improving your sales effort. Webinars can produce excellent leads and they are one of the main reasons companies use them. The online nature of a webinar means attendee reach is huge and social media sharing opportunities even greater. You are also in the driving seat when it comes to the topic of choice and the agenda of the webinar, meaning you can guide customers or prospects through your service or product in a way that you want, highlighting the certain benefits of your service, for example. By making a recording of your webinar you are allowing for a downloadable version which can be watched at a time more convenient to potential customers. This opens the customer catchment network further and generates more quality leads. Customers will buy from you if they think you know your stuff and webinars are an ideal way of representing you as a company with a high level of authority. Why is this important? Mainly because most customers have to go through a period where they build trust in you before they buy, particularly on high value services or goods. A webinar can catalyse this process making new business less expensive. Webinars are also good for training and education. If you have a product or service with a complex feature or use then using a webinar to demonstrate how a product can be best utilised is extremely helpful. You can use your webinar to show online clips that demonstrate in person how to handle a certain product, for example. Make sure that you do not give too much knowledge away though. Pick a topic that allows scope for attendees to feel informed but able to contribute. This will keep your audience engaged for a longer, allowing you time to show off further services. Asking questions and inviting attendees to have a guest spot allows for even longer periods of engagement and a certain level of investment from a potential client or customer. Also, make sure your webinar is paced evenly with sales and knowledge. It is important to orchestrate the balance of teaching and selling, intertwining these within your content making the selling aspect less obvious. Attendees will switch off as soon as you take up too much time pushing something, what’s more, they are unlikely to tune into another webinar you are running in the future. From a psychological point of view, customer relationships are strengthened when you have engaged both verbally and visually, something that can provide a very powerful competitive edge. A further bonus is because webinars are ‘live’ you have a certain amount of exclusivity to your event: people either log in or they miss out. In the current communications climate, where people are used to having information ‘now’, tapping into this spirit of immediacy will create a positive response from a large share of your audience. That said, providing a recorded version after the event and making it available to those who couldn’t make the session will also help build that relationship with customers as well as creating a second tranche of sales leads. If you would like to learn more about webinars, brand management or content creation then please get in touch with the team at Pelican. Pelican Communications are specialists in the environment, food and drink, outdoor and leisure and packaging sectors and offer a range of services such as media relations, event management and people development. Contact us for marketing and communications expertise.